Find your perfect slipper with the Audrey III by Sleepers in a choice of 5 beautiful colours. 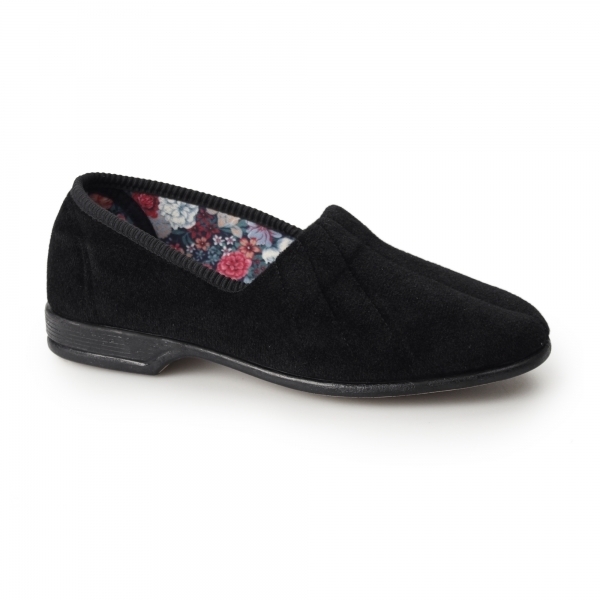 The style and sophistication doesn't end there as the lining of these elegant slippers is in a pretty floral design. In a full slipper style, you can slip these on in seconds and instantly be in a world of endless comfort and warmth surrounded by soft textile lining. These heeled slippers are ideal to come home to after a long day and enter a world of full relaxation. Showing our 2 Sleepers AUDREY III Ladies Full Wide Slippers Black reviews with an average rating of Excellent. Would you like to write a review? Quality slippers and good value.